Knight Moves is a board game café located in Brookline, MA. The café offers coffee, snacks, and a massive board game library. Customers will enjoy a comfortable space, with knowledgeable staff and a relaxed atmosphere. An evening at Knight Moves is hassle-free entertainment and a chance to spend time face to face with family and friends. Knight Moves has hundreds of games (nearly 1,000!) to choose from, and we’re adding new ones all the time. So whether you’re looking for an old-school classic like Risk, a Euro game favorite like Settlers of Catan, or an off-the-wall party game like Cards Against Humanity, we’ve got something you’ll love! Fun atmosphere, very nice employees, really cool place, BYOB! A great place to meet friends and get into some games. That have an amazing library of games as well as snacks and drink on offfer. The best part for me is that you can carry in wine or beer for a $2 fee! A big group of us had a fun time! 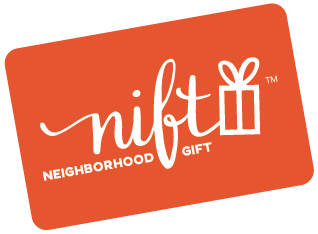 There is a $2 fee for bringing in outside food and drink, but if you have the nift it's included in the one month membership. Love Knight Moves. Reasonably priced, good selection of games, bring your own food, lots of fun. Thanks! We loved Knight Moves Café! Great selection of games to try and friendly atmosphere. We will definitely come back again! Great time at Knight Moves!! I wish they updated their website with holiday hours. Nice people who helped us with games we were less familiar with! An amazing little place. I am glad I had this opportunity to check it out for the first time, I'll definitely go back!